My EQView feature this week is a review of The Imitation Game which features key elements in the life of the remarkable Alan Turing. Turing was a Codebreaker at Bletchley Park, and he led the team responsible for cracking the German naval Enigma Code (he invented a machine which broke the Code), and helping Britain win the Second World War. He was a mathematical genius, wrote pioneering papers exploring whether machines could think, and is the father of computer science and artificial intelligence. Later on, post War, he was prosecuted for gross indecency (he was gay), subjected to a chemical castration and this led to his early and premature death at the age of 41. He should be a national hero and everyone in Britain should know about Alan Turing, his life, his work and his contribution. This film does justice to Turing and his story and I am highly recommending it as my film of the year. The Imitation Game tells the remarkable life story of a genius, Alan Turing. Turing was the Codebreaker who played a key role in cracking the German naval Enigma Code and helping Britain to win the Second World War, and his pioneering work exploring whether machines could think make him the father of computer science and artificial intelligence. The Imitation Game focuses on Alan Turing’s work as a Codebreaker at Bletchley Park, and we follow his journey right from the beginning when he is recruited to carry out this top secret work. At the time, the German Enigma Code was thought unbreakable and the task the Codebreakers were working on was considered almost impossible. This makes the film very exciting, a tense thriller, as it is a race against time with countless lives hanging in the balance. The film is very good at transporting a modern audience back in time and you get a very clear sense of Hitler being in the ascendant, Britain being under attack, and how frightening it must have been to be living at a time when you may be bombed and your country invaded at any moment. You get a real sense of the country being at war and everyone being on their guard. 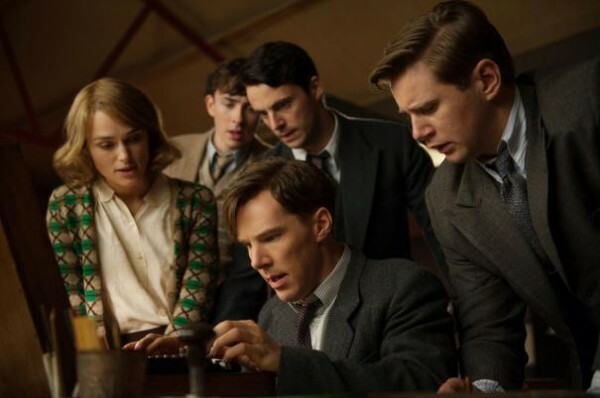 But as well as being a tense action-packed thriller, which tells the exciting story of how the German Enigma Code was broken, and how this helped Britain win the War, the film explores key elements of Turing’s life story in considerable depth. One key aspect of Turing’s early life that is explored in depth, through a series of flashbacks, is his life at Sherbourne School. Young Turing is perceived as different and “weird”. We see Turing being bullied at school and we empathise and feel his pain. But in these very difficult circumstances, where Turing is alone and isolated, he has one true friend, an older boy named Christopher. The two boys share a love of mathematics and they become very close, their friendship blossoming. Tragically for Turing, Christopher will be snatched away from him, completely unexpectedly, far too soon. The scene where the Headmaster tells the young Turing why Christopher won’t be returning to Sherbourne is truly heartbreaking. Alex Lawther plays young Turing and his performance is exceptional. He is able to convey Turing’s cleverness and his “difference”, but also his fragility and vulnerability. As an added bonus, he looks very much like a young Benedict Cumberbatch! After Turing loses Christopher so early on in his life, he becomes very single minded and dedicates himself to pursuing and progressing the work that he and Christopher had started together. 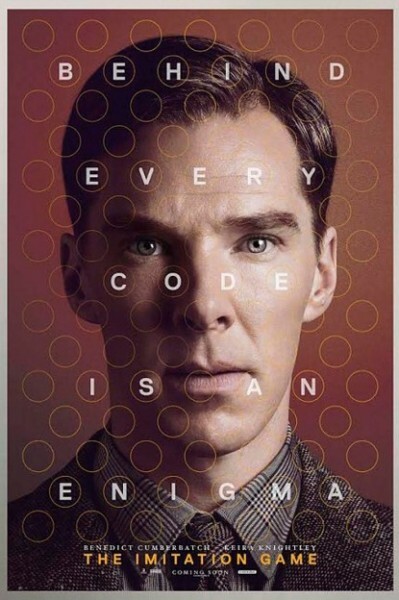 In the film, Turing christens the machine he is building to crack the German Enigma Code “Christopher”. This links the two segments of the film strongly together and it is deeply touching and profoundly moving to see how much Turing invests in the machine, and to witness his anger and emotion when his bosses threaten to destroy the machine as it is not working fast enough. For Turing, the machine Christopher is the best and only substitute he has for the real-life Christopher he has lost. That is why the machine means so much to him, why he will go to any length to protect it, and why he recreates it in his own home once the War is over. The other key aspect of Turing’s life that is explored in depth is his later life after the War, specifically his arrest and prosecution on the charge of gross indecency, and how this brought about his early and premature death at the age of 41. The scene where Clarke (one of his team at Bletchley Park and someone to whom he was briefly engaged) visits Turing, after he has begun his “treatment” of chemical castration, is heartbreaking as you see the effects of the treatment Turing is being subjected to on his brain and on his work. The film drives home to a modern audience the sea change there has been in attitudes towards homosexuality and gay men in the past few decades. When Turing was alive, being a gay man was unacceptable and beyond the pale, a crime in the eyes of the law, and something which you had to undergo treatment for. In the year when equal marriage has become a reality in this country, the way homosexuality was viewed, and the way gay men were treated, just a few decades ago is truly shocking. Benedict Cumberbatch plays Alan Turing and delivers an outstanding performance. Cumberbatch could have been born to play this role. He has specialized throughout his career in playing very clever men, men who are different, often misfits, loners, men who are socially inept and isolated, with at least a touch of autism about them. His performance as Turing is subtle and nuanced, and incredibly powerful and moving. Cumberbatch has been widely tipped as a strong Best Actor Oscar contender for his performance in this role and, if he were to win the Oscar, it would be very well deserved. Keira Knightly plays Joan Clarke, one of Turing’s team at Bletchley Park, and someone to whom Turing was briefly engaged to be married. There has been much discussion in the media over whether this was an attempt to introduce romance and a heterosexual love story into Turing’s life story to make it more acceptable to a US or a straight audience. But Clarke was a real-life person and she and Turing were engaged for a brief while. I would argue the film makes it very clear that Turing was a gay man. The engagement between Turing and Clarke was one of convenience and is shown to be founded on a meeting of minds not hearts. I was pleased Clarke was included in the story as it highlighted the key role that women played in the War, and it enabled the film to look at the barriers women had to overcome, and the parental and peer pressures they had to fight, to pursue a career at this time, no matter how bright or intelligent they were. As a woman, your parents and your peers would expect you to marry and have children, and this was a higher priority than work. The film showed what moral courage it took for women such as Clarke to work alongside men and to pursue a career. Knightly delivers a very strong yet understated performance. Right at the end of the film, Turing’s legacy is highlighted on the screen. The film focuses a lot of its time and attention on Turing’s work at Bletchley Park during the War. The work Turing and his team did on breaking the German naval Enigma Code shortened the War by 2 years and saved 14 million lives. That is a legacy anyone would be proud of and it is very important that Britain remembers and celebrates Turing’s life and work in as many ways as it can. Overall, this is an exceptional film that deserves to clean up at the Oscars. I felt very privileged to see it as part of the London Film Festival and it is undoubtedly one of the best films I have seen this year. I have no hesitation whatsoever in recommending it to everyone as the must-see film of the year! The Imitation Game is out in cinemas across the UK from Friday 14 November.